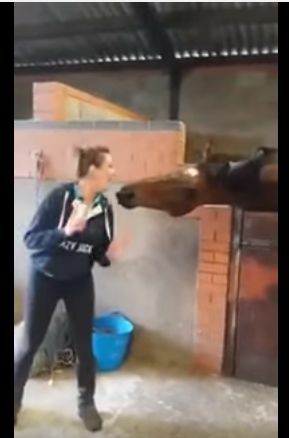 Ever been jealous of a horse's dance moves? Well, get ready! 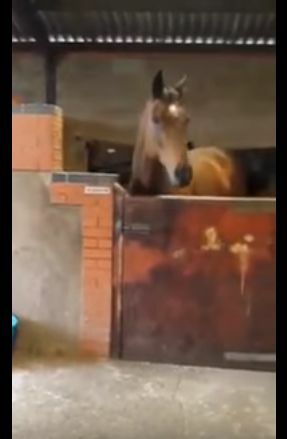 This adorable horse watches his trainer dance away to "All About that Bass." When she jokingly turns it over to him, he lights up! He hilariously bobs his head to the music, clearly dancing, until she takes the stage back. Then she points at him, and he does it again! We couldn't stop laughing throughout the whole video. But we do have questions! Does he really like the music? What's going on? According to Horse Lovers Math, researchers at Hartbury College did a study where they looked at the behavior of horses when different types of music were played. The horses were pretty indifferent, but they liked classical and country music a little more and rock music a little less. Of course, it may just all be in the head bobbing -- which horses do for a variety of different reasons, says Equus Magazine. Flies, anxiety or even a hurt leg cause horses to bob their heads. But we like to think it's just because he's a big Meghan Trainer fan! What do you think? Don't forget to watch the video below, then share it with your friends and family for a good laugh. Cowboys are still the stuff of legends, as you'll see in this video of heroic proportions. 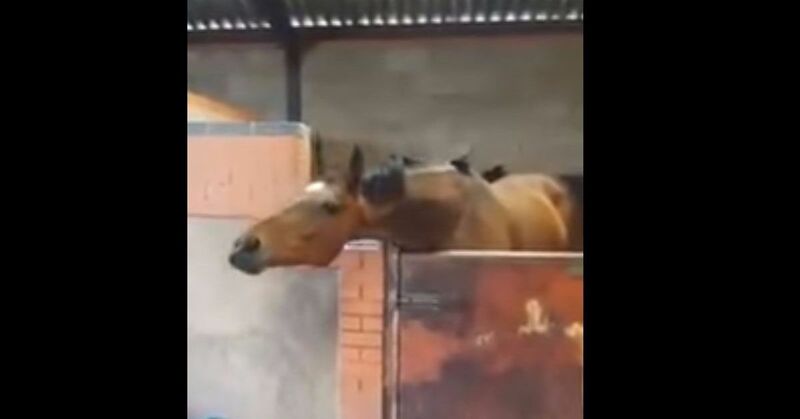 See what happens when a father and son help save a trapped horse.